I really have to commend Mattel. Sure, they’ve made some missteps, but I know the design team tries really hard to find creative ways to make the characters we want and still meet a budget. Of course, sometimes that means we get a great Kilowog head sculpt on a tiny little body. That’s okay with me. I can fix that. At least I didn’t have to sculpt the head! 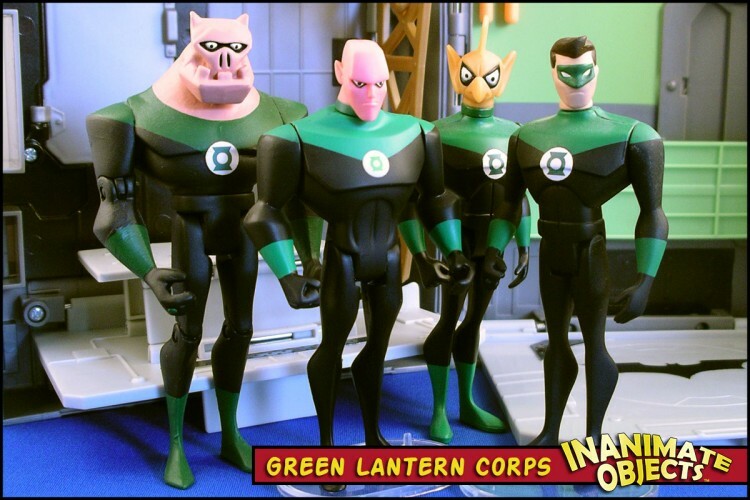 Obviously I used the Mattel Kilowog head. For the body, I chose the JLU Aquaman figure as a base. 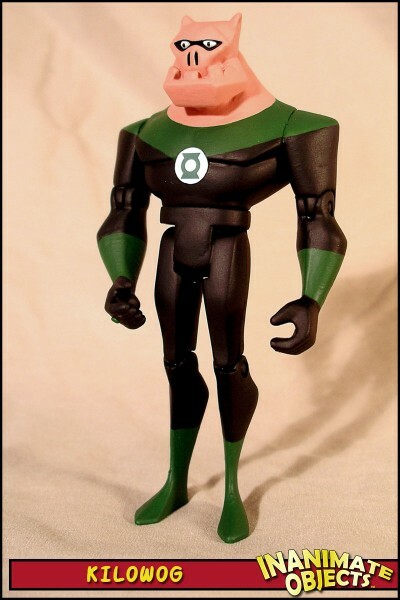 Studying Kilowog’s appearance on the show, I found his body is large, but not as large as a character like Bane or AMAZO. 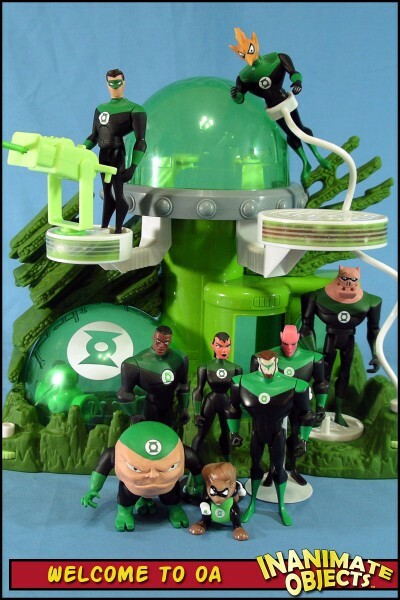 The Aquaman figure is in a scale of his own, so his overall size fit Kilowog’s requirements nicely. 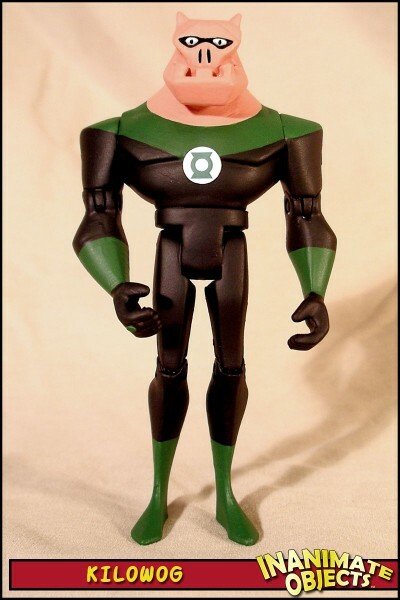 I swapped Aquaman’s forearms with those of Martian Manhunter. The joints are interchangable and easy to swap when heat is applied. The only additional sculpting required was the wide neck. I wasn’t happy with the existing Green Lantern logos available, so I made my own in Illustrator. See below to download an appropriately sized version for your own projects. 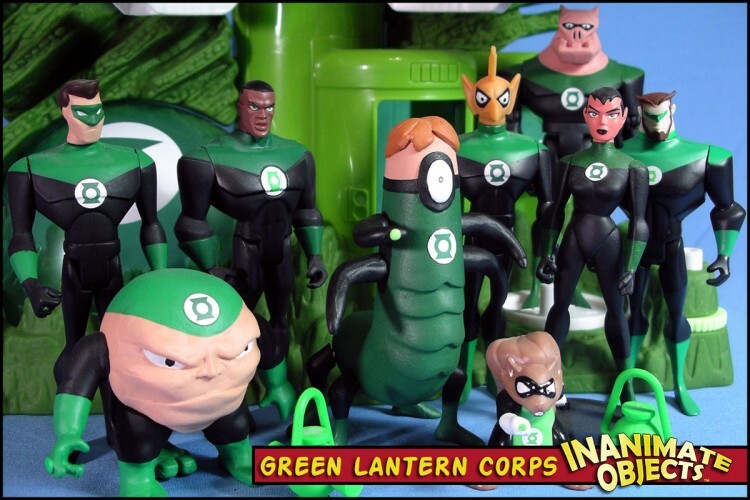 Jump to the downloads section and grab Kilowog’s Green Lantern emblem for your own custom!